Zebra’s built-to-last Xi™ series printers are legendary for their rugged durability, consistently outstanding print quality, fast print speed, long life, and unparalleled reliability in demanding applications. These qualities translate into low total cost of ownership—making them a smart investment for organizations with high-volume, mission-critical or specialty labeling applications. 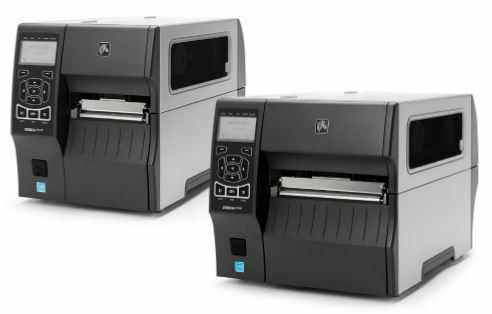 Xi4 printers build on this legacy to boost your operational productivity with up to 40 percent faster print speeds on select models, faster 10/100 Ethernet connection speeds, and enhanced early warning systems for reduced downtime. Other advanced and flexible features include a large, easy-to-read front panel for simple setup with optional customizable menu and support for a wider assortment of languages. Integration is easier with a variety of network connectivity options, while ZebraLink™ Solutions provide remote printer management capabilities. Drive down operations downtime with the all-metalXi series’ rugged dependability and premium performance. FAST Xi4 printers easily keep pace with your high-volume production line. • Xi4 models with 14”/356 mm per second print speeds provide one of the fastest technologies on the market, improving productivity in batch printing and print-and-apply lines. • Fast processing and throughput raise productivity. • Powerful memory stores more label formats, fonts and graphics. • Durable metal printhead mechanism delivers outstanding print quality over the long run, reducing or eliminating downtime for printhead replacement. DEPENDABLE For mission-critical and 24/7 operations, every minute down means money out the window. Turn up your uptime with Xi4 printers. • The long-proven Xi series platform is designed and built to work nonstop, all day, every day. • Quickly identify and resolve printer issues with early warning systems that indicate when to service the printhead and change ribbons/media, and with remote printer management/monitoring. 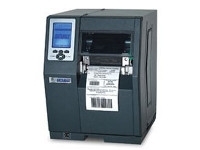 DURABLE Industrial-strength Xi4 printers withstand the most demanding operating environments. • Rugged, heavy-gauge steel housing and metal interior components brush off bangs and bumps. • Enclosed operating mechanisms block out debilitating dust and dirt. • Printers operate trouble-free in a wide range of temperatures and humidity levels. 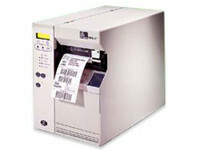 • Handles everything from paper to specialty label and tag stocks. • Easy change-over from one label media to the next. • Consistently outstanding print quality on the widest range of media thicknesses. 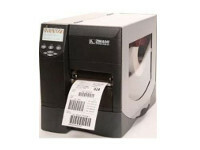 • From tiny component labels, to compliance labels, to wide-web (e.g., chemical drum) labels, the Xi4 offers a wide range of print widths and resolutions to fit various applications. • Reliable performance over the long run minimizes maintenance needs and total cost of ownership. • With one printer model and Zebra’s wide range of label materials and sizes, you can address a variety of printing applications, reducing the need to purchase different printers for every specific labeling application. • The wireless connectivity option frees you from paying for recabling with every physical reconfiguration of your operations. Zebra’s Xi4 is loaded with features and options that make the printers easy to set up, easy to integrate and easy to use. The included internal ZebraNet® 10/100 Print Server (Ethernet) and secure 802.11b/g wireless connectivity options meet the needs of evolving network environments. Integrating and maintaining Xi4 printers remotely is simple with Zebra’s centralized management tools that leverage the power of ZebraLink™ Solutions. Printer setup and configuration is now click-simple. Easy-to-follow wizards quickly guide you through configuration. Fast changes—whether you are adding a new printer, moving an existing printer to a new location or adding new capabilities. Using the new “Mirror” feature, Xi4 printers can leverage your existing server infrastructure to automatically retrieve user-defined configurations, including files, formats, graphics and firmware. Design and create customized menus. Menus can now contain just the items you define. Store multiple profiles on the printer and switch between them as needed. Contact Zebra’s Development Services group for assistance. New supplies monitoring feature works in real time. Printer alerts users when ribbon and media levels are running low, before they run out. 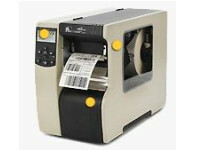 Print barcode labels directly from Oracle’s BI Publisher. Easy to implement and manage. For optimum print quality and printer performance, use genuine Zebra™ supplies. Ribbon is recommended to be at least as wide as media. ZBI 2.1™— Allows printers to run applications, prompt users through control-panel commands and use files stored on the printer as a data source. Contains UFST® from Montotype Imaging, Inc.
For optimal printing quality and proper printer performance across our product line, Zebra strongly recommends the use of genuine Zebra™ supplies as part of the total solution. Specifically, the Xi4 printer is designed to work only with genuine Zebra™ printheads, thus maximizing safety and print quality.